You know who knows best which bottles to buy? The people who pour and sell drinks—that’s who. We asked dozens of top bartending and spirits industry professionals to tell us which bottles they love and why. Heads up: The numerical order below is not organized by importance or quality; it’s an alphabetical list, not a ranking. Prices are averages and can vary from state to state. WACONIA, Minn. – October 19, 2018– Today, J. Carver Distillery celebrates over four years of award-winning distilling by announcing the introduction of two new handcrafted spirits: Cruella Amaro, a rye whiskey-based Amaro and J. Carver Wheat Whiskey. Both products are distilled grain-to-glass and aged in our barrel room at our facility in Waconia, Minnesota, located 30 miles southwest of Minneapolis. “Four years ago we planned and produced a sophisticated Minnesota Wheat Whiskey despite the lack of interest in wheat whiskies at that time. However, during a gathering of high-profile bartenders at our distillery in Waconia, we received great encouragement to bring this product to market. We believe that we have embarked on a new era where whiskey aficionados include wheat whiskey on their shopping list. Marvel Bar and Shorewood Liquor were so enamored by this endeavor they hand-selected barrels for blending, purchased privately, and the fruits of this collaboration are now available at Marvel Bar in Minneapolis and Shorewood Liquor,” stated Founding Partner Gina Holman. Additional barrels have been blended for release and are now available to restaurants and fine spirits retailers throughout Minnesota. Cruella Amaro was designed to take whiskey based cocktails to a whole new level. As long time Amaro lovers, we were inspired to create another unique specialty spirit to compliment our Sevilla Liqueur. Using rye whiskey as the base for this product allowed us to introduce the viscosity of an aged whiskey and a spicy finish to the seductive amaro flavors of herbs, barks, and other spices. The result is a devilish interplay of sweet and bitter, as you would expect from a spirit named “Cruella”. This is our distinctive Minnesota twist on a classic Italian-style herbal digestif. Cruella Amaro is worthy of sipping on its own or elevating a pre-prohibition classic cocktail like a Manhattan, Old Fashioned or Negroni. “Our entire team is proud to launch these two new whiskey-based products as they round out our portfolio of unique whiskies introduced over the last four years,” states Holman. Newly released J. Carver Distillery Wheat Whiskey 100 proof and Cruella Amaro are available for wholesale purchase exclusively through Minneapolis-based distributor Vinocopia, Inc. Consumers can search the store finder at www.jcarverdistillery.com for retailers by city or zip code including Surdyk’s, South Lyndale, Legacy Wine and Spirits, Shorewood Liquor, Dolce Vita, The Vintage, North Loop, and other fine spirit shops across the state. Carver Distillery crafts distinctive award-winning spirits inspired by a tradition of craft and curiosity, harkening back to the days of unchartered exploration and wonder. J. Carver Distillery is open to the public on Fridays, Saturdays, and Sundays. Stop in and experience a tour and tasting and their grain-to-glass approach to distilling. Join their many enthusiastic customers in sampling locally made vodka, gin, barrel gin, apple brandy, grappa, bourbon, rye whiskey, liqueurs, and now small batch specialty spirits and hand-crafted cocktails in their cocktail room. Founded in 2013 in Waconia, Minnesota, partners include Bill Miller (Waconia), Gina Holman (Victoria), Beth Aschinger (Spring Park), and Dan Niesen (Waconia), Gregg Groechel (Wayzata), John Zupan (Waconia), Tom Kullman (Waconia) More information is available online at www.jcarverdistillery.com. You must be at least 21 years of age to drink alcoholic beverages. Do not drink and drive, and please drink responsibly. When you’ve met as many bartenders as I have (on purely journalistic endeavors, mind you, or at least that’s the story I’m going with), you start to notice where they hang out after their shifts. One prime locale for the late-night industry crowd is Nightingale, the sleek and cozy Lyndale Avenue hangout where you might hear vinyl spinning over the rabble of a handsome crowd noshing on oysters and chicken liver paté. The drink pours a brilliant yellow gold and smells like a garden full of lemony herbs. The flavor is in Bee’s Knees territory but with the added depth of tannin from the barrel gin and a dry, herbal finish from the mouth-coating absinthe. You can get powdered bee pollen at your local co-op, which you’d then mix into a regular simple syrup for a bright and floral zing. But if you don’t want to go through the trouble, you could always 86 the pollen and make it up with a little more honey syrup (plus a little more lemon juice for balance). The walls are crumbling. The boundless creativity of the craft movement has ensured that spirits are becoming less and less boxed into the stylistic traditions that once defined them. On our shelves now, we’re treated to products like “aged vodka,” and beer-barrel-aged whiskey, and gins with every botanical under the sun. Spirits are being blended with new precision, aged with radical techniques, flavored by infusions or extractions, and finished in flavored casks. Everything old is new again. No spirit blurs the old lines quite like barrel gin. It begins with a spirit—gin—known for its crisp botanical array and for the lithe and sprightly way it shows the woodsy tang of juniper berries. Then, that spirit is rested briefly in oak barrels—not for as long as whiskey, maybe just a few weeks or months—a process known to diffuse the aromatics of a spirit and replace them with an all-consuming base note of vanilla and toast and tannin. But why take perfectly good gin and make it an herbal half-whiskey? As a lover of traditional London Dry-style gins, it’s taken me awhile to come around, but I think I have an answer: It’s all about the bass. Gin is usually all about the top notes: citrus, herbs, spices, and flowers, the delicate flavors that dance on the forefront of a cocktail. That’s the reason gin drinks are more refreshing than substantial. If you don’t want gin-drinking season to peter out after Labor Day, a barrel gin is a superior mixer. That touch of oak gives it the ability to incorporate deeper, richer flavors, and makes gin drinks taste hardy and autumnal. I think it’s a mistake to mix barrel gin like a whiskey. (Don’t be fooled by the color: it’s still gin, and I will never come around on the idea of a gin old fashioned.) Instead, I’ll use it to add some muscle to a Tom Collins, or unexpected depth to a Bee’s Knees. It makes the most soulful Negroni you’ve ever had. Locally, I’m partial to J. Carver’s Barrel Gin. 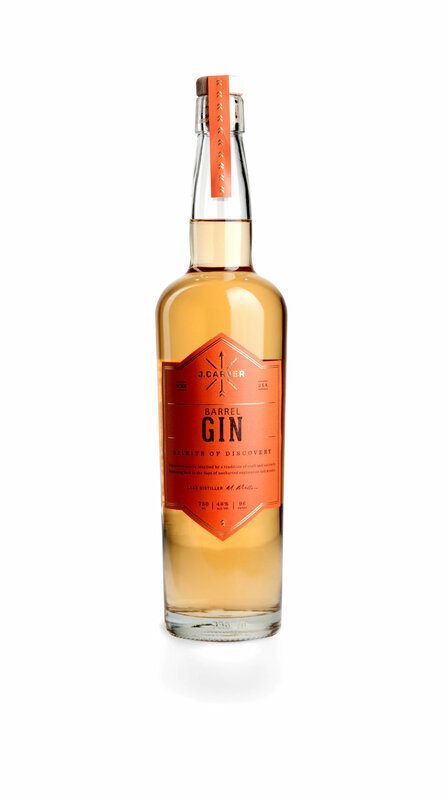 Nationally, St. George Spirits makes a beautiful rested gin with rye. For a gin with even more malt and oak character, find a traditional Dutch genever. 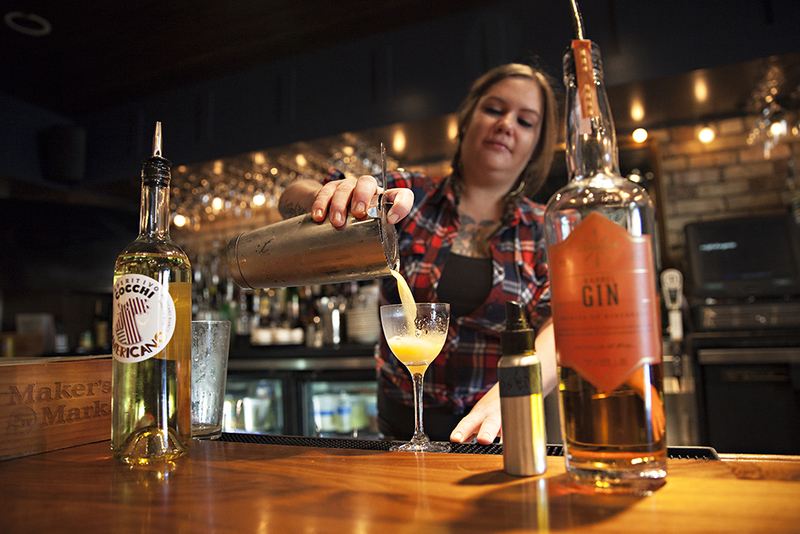 WACONIA, Minn. – Fans of the craft spirits movement in Minnesota have a reason to celebrate. The Fifty Best recently hosted a Gin Tasting in New York, NY where 68 contenders were evaluated for the distinguished “Best Gin” awards for 2018. The Fifty Best and J. Carver Distillery are pleased to announce that J. Carver Grimm Farm Ultra Premium Gin and J. Carver Barrel Gin were awarded Gold Medals. Both products were distilled grain-to-glass and the J. Carver Barrel Gin was aged in our barrel room at our facility in Waconia, Minnesota, located 30 miles southwest of Minneapolis. "The J. Carver team has been fascinated with the history and spirit of discovery of pioneers like Wendelin Grimm and Jonathan Carver," said Gina Holman, Founding Partner. "We are dedicated to exploring and creating distinctive spirits inspired by a tradition of craft and curiosity. We are so grateful for these two gold medals. 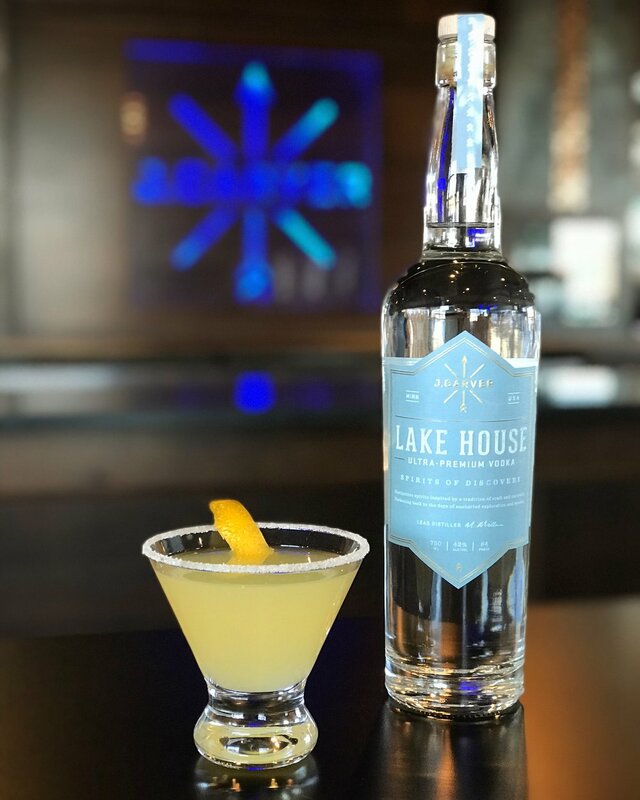 It's exciting to see the passion and support around the revival of the craft cocktail culture, with the devotion of mixologists using Minnesota craft spirits in their cocktail programs, and consumers embracing the shop local movement." Aroma: Soft, sweet oak character with rich notes of baking spices including cinnamon, nutmeg and allspice balanced with floral and citrus notes from hand selected botanicals. Taste: An alluring palate with strong vanilla and caramel flavors, hints of orange, lemon and cardamom, balanced with intense baking spices and licorice. Finish: Long, warm and smooth lingering finish with hints of black pepper and soft tannins. In 1859, immigrant German farmers Wendelin and Julianna Grimm purchased a plot of land in Northern Carver County. Among the possessions they brought from their native country was a small, wooden box containing the seeds of “ewiger klee” - German for everlasting clover - which they planted on the farm. For the next fifteen years Wendelin Grimm religiously collected and planted seeds from the plants that survived the harsh Minnesota winters. This selection practice - called seed saving - resulted in the first winter-hardy alfalfa in North America. Grimm's alfalfa not only helped make Carver County a premier dairy belt, but it has become the basis of the alfalfa used on more the 25 million acres in the United States. Grimm Farm is now a historic site in Three Rivers Park District in Victoria, Minnesota, just a few miles east of the distillery. J. Carver Distillery crafts distinctive spirits inspired by a tradition of craft and curiosity, harkening back to the days of unchartered exploration and wonder. J. Carver Distillery is open to the public on Fridays, Saturdays and Sundays. Stop in experience a tour and tasting and their grain-to-glass approach to distilling. Join their many enthusiastic customers in sampling locally made vodka, gin, barrel gin, apple brandy, grappa, bourbon, rye whiskey, liqueurs, and small batch specialty spirits and hand-crafted cocktails in their cocktail room. More information is available online at www.jcarverdistillery.com. J. Carver Distillery hand-crafted spirits including Grimm Farm Gin and J. 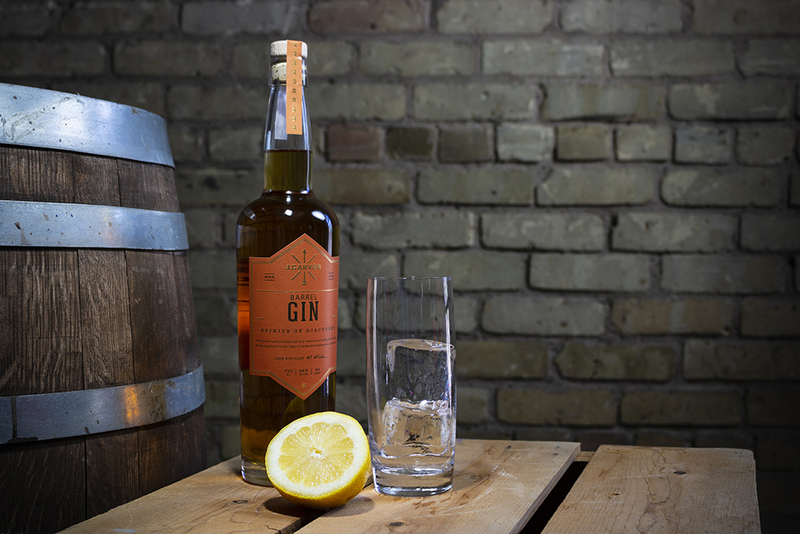 Carver Barrel Gin are available in Minnesota for wholesale purchase exclusively through Minneapolis-based distributor Vinacopia, Inc. and in Wisconsin trough Saratoga Liquor in Superior and General Beverage in Green Bay. Consumers can search the store finder at www.jcarverdistillery.com for retailers by city or zip code including Surdyks, France 44, South Lyndale, Legacy Wine and Spirits, Dolce Vita, The Vintage, North Loop and other fine spirit shops in Minnesota and Wisconsin. With the help of neighboring wine experts and a blending team that includes a sommelier, Waconia’s J. Carver Distillery has released the first brandy made in Minnesota. There’s a style of gin I’ve never heard of before. You’ve probably never heard of it, either. Until now. J. Carver Distillery has announced via press release the debut of an aged rye whiskey and Calvados-style apple brandy due out this week.